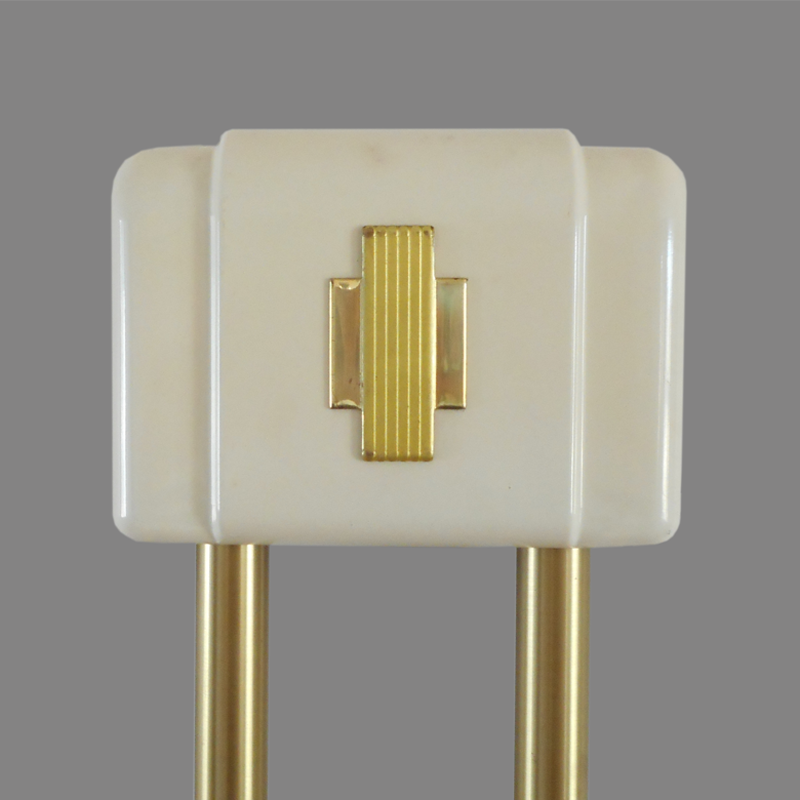 Model 56 QUALITY CHIME—This newly designed chime gives beauty and quality at low cost. 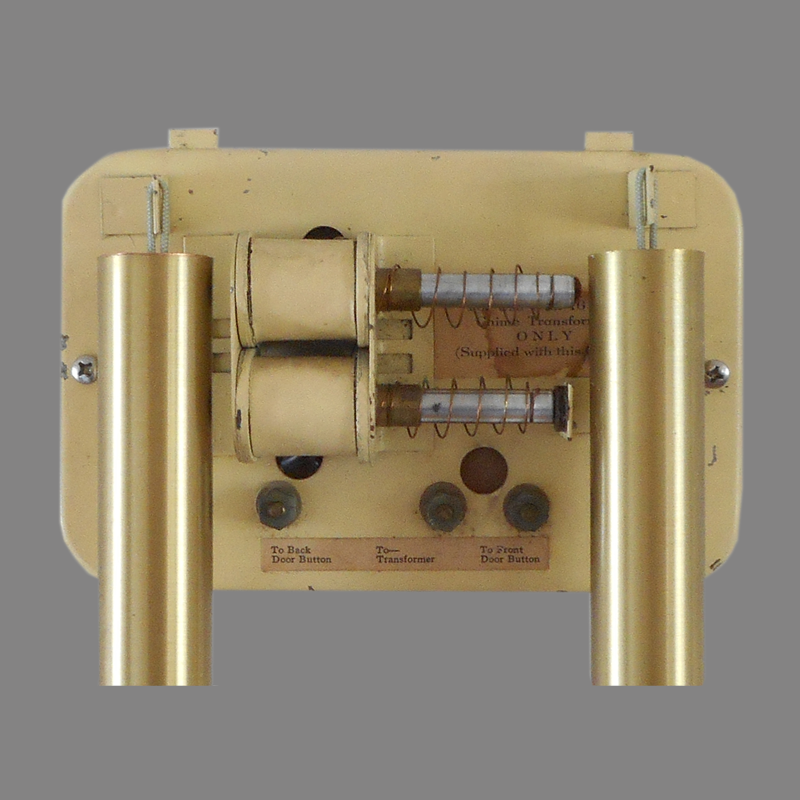 Thousands of Model 56 Chimes have been giving trouble-free performance for the past ten years. Now, with new design throughout, the demand for this chime will be greater than ever. As an added feature the Model 56 Chime comes complete with a unique new matching medallion push button especially designed for it. 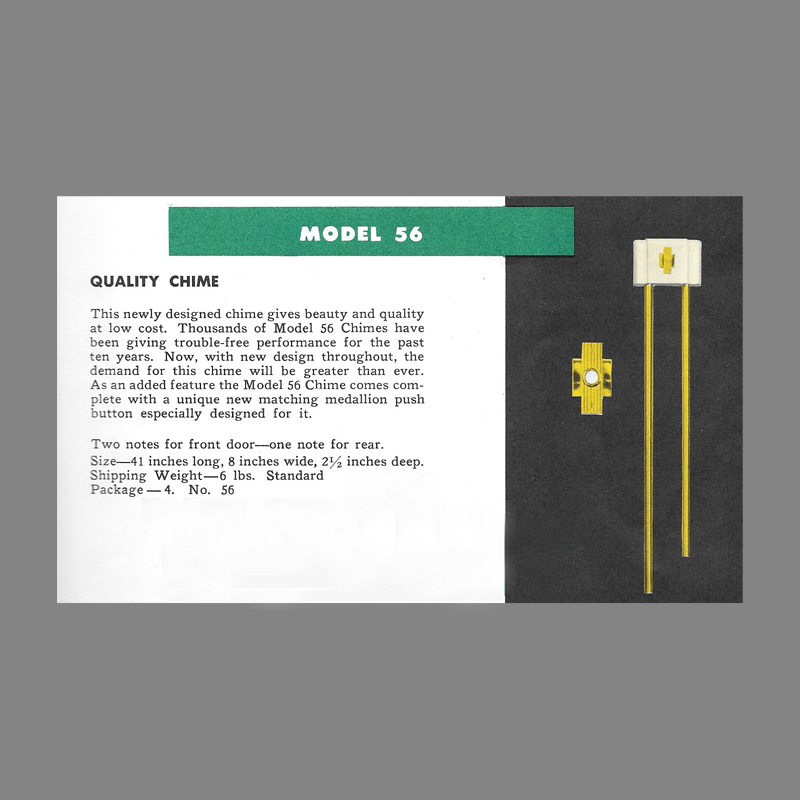 The Model 56 was widely distributed by Montgomery Ward along with other Liberty Bell Chimes. I have a Liberty Bell door chime and had to get new buttons for the front and back door. Before we bought the house somebody wired it up in such a way that both front and back door have the same two chime ring. I can see the terminals for front and back as well as transformer. I am having some trouble with the hook up as it seems that when I have the wires on all terminals there is a constant hum as though the unit is getting continual power when I take a wire off it stops but is not functioning as a result. Its really hard to figure out which wires are which as they all look identical with the striped wrapping. There is no red white, black or green as we are accustom to these days. Is there anyone that can assist me with sorting this out. Perhaps there’s a copy of instructions somewhere that can be emailed to me. Thanks so much for your help. We love our vintage door chimes and are not interested in the modern alternatives. Are your new buttons lighted? I find these to be more trouble than they are worth. Lighted buttons draw a constant amount of power through the solenoid and can cause the unit to hum. Try disconnecting the buttons and replacing both with unlighted buttons. My back door replacement is a lighted one. I will get a non lighted and try it again.